As best we know, Mars today is a lifeless, dried-up red abyss but it wasn’t always that way. Most who study the Red Planet agree that it was populated with flowing rivers and lakes billions of years ago. The only problem, as The Verge highlights, is that scientists aren’t really sure how the planet was warm enough to support liquid water. Since arriving on Mars roughly four and a half years ago, NASA’s car-sized Curiosity rover has found evidence suggesting that water once pooled in the Gala Crater (the area of Mars the rover landed in) around 3.5 billion years ago. At that time, however, it is believed that the Sun was only generating around 70 percent of the energy it churns out today. If that was indeed the case, it means that some other factor would have had to contribute to Mars being warm enough for water to exist in liquid form. Some believe that the ancient Mars atmosphere had an abundance of carbon dioxide, a greenhouse gas that traps heat. If true, this could explain how the Red Planet was able to retain enough heat for liquid water. Again, if true, scientists believe that the gas would have dissolved into the Martian water and created something called carbonic acid. Said acid is known to weather rocks beneath water and eventually produce what’s known as carbonate minerals. 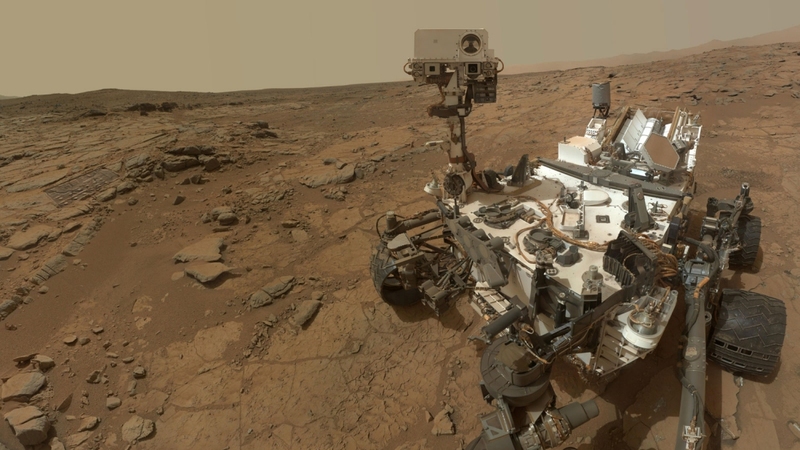 The problem is that NASA’s Curiosity rover hasn’t found any traces of carbonate minerals in the rocks it has studied to date. That’s not to say the mineral isn’t located elsewhere on Mars; it just hasn’t been spotted in the Gala Crater using the rover’s CheMin instrument. What’s more, it’s possible that the carbonates are present but are in quantities too small to be detected by the instrument. As of now, there appear to be more questions than answers. There's still a helluva lot more that NASA or science can't explain about mars than it can, but one day they'll figure it out. First, they 'merely' have to successfully land samples of the homosapiens species on the planet, then worry about getting them back safely again later to study the data, otherwise they may never know. davislane1 and Tanstar like this. Mars was doomed from the start. It has almost no atmosphere anymore because It has no magnetic field. It has no magnetic field because its center has cooled. Its center has cooled because its 2 moons are very small and their gravity to little to stretch the planet like our moon does. It is further from the sun and it is close to the asteroid belt, so it got struck by huge asteroids more often than earth. Thus it's been dead for a very long time. Perhaps long ago Venus was a better place for life. It's only an inferno now because of a runaway greenhouse effect. This one is easy. The sun dying is the clue. When the sun was younger and stronger, the goldilocks zone was further out, encapsulating Mars, allowing liquid water to exist. Kenrick, Reehahs, mosu and 3 others like this. wth. nearly spilled my coffee. Except that, according to the article, the opposite is true. The sun is radiating more heat today than in the distant past. This billions of years nonsense is theoritical, life along with everything in the universe begins when you're borne and it all ends when you die. Humans are just incapable of grasping that concept. What evidence do they have that Mars ever did support liquid water? Or it is just some theory they concocted and now can't prove it? The way rocks have been eroded away on Mars could only have been done by constantly flowing water, such as rivers, as far as they are aware. Any one who responds with LMAO, assuming you know what this acronym stand for, isn't expected to understand it- Hell, I don't even expect most scientists to be able to wrap their minds around it. for your purposes, fine just call it dumb and scurry along in your little world. Yes I do know what that particular acronym means thank you very much. Maybe if you hadn't posted such a ridiculous notion I wouldn't have responded in such a way, oh and I would rather be in my little world then the nonsensical world you obviously inhabit. "Everything in the universe starts when you are born and ends when you die"... Come on dude, that sounds like something a heavy pot smoker would say. Only in your miniscule world. 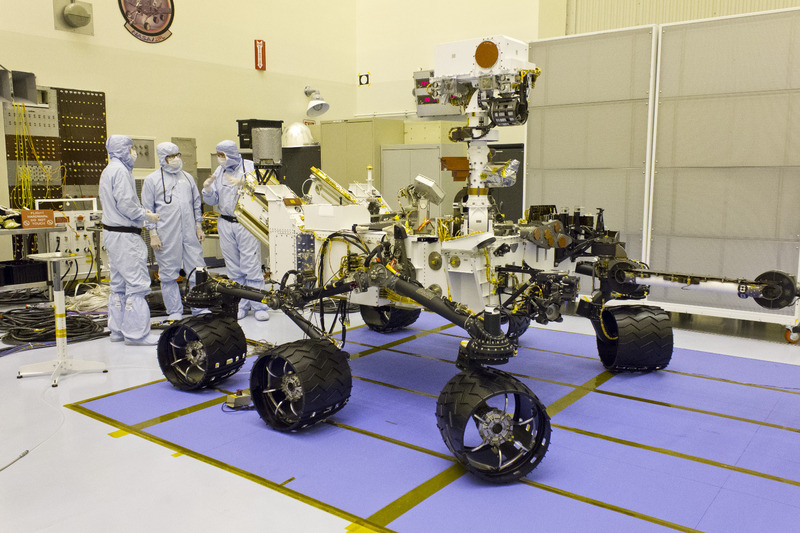 Both Mars rovers are ripoffs of Russian Lunkhod vehicles from 1960'es. It's time for a more radical ground vehicle, that would be made of several cars connected with flexible joints, so they are able to climb over obstacles much higher (or dig themselves out of a hole much deeper) than an individual car (rover). Right. "Existentialism" is way overrated as a concept. Jean Paul Sartre had verbal diarrhea, as did so many "philosophers" before him. Smoking pot makes me paranoid, so I obviously cannot follow in the path you've chosen in your journey for knowledge and wisdom. But answer me this, Obi Wan, "if your head explodes in a forest from ingesting too much, or too many psychedelic substances, would the fart given off by your dying body, make a sound"? That's possible, if we're living in a simulation. Assuming it's a very personalized simulation. If you believe that, I've got a bridge up for sale. Very cheap. Whose beliefs BTW, aren't junk science, but rather "junk philosophy". Now, why don't you do something productive with your time, and learn how to read. Just stay away from Sartre. It's the nonsense that college freshman revel in, when they all chip in to buy a few joints.